New Directions Publishing Corporation, 9780811216869, 101pp. The basic principles of Gandhi's philosophy of non-violence (Ahimsa) and non-violent action (Satyagraha) were chosen by Thomas Merton for this volume in 1965. In his challenging Introduction, "Gandhi and the One-Eyed Giant," Merton emphasizes the importance of action rather than mere pacifism as a central component of non-violence, and illustrates how the foundations of Gandhi's universal truths are linked to traditional Hindu Dharma, the Greek philosophers, and the teachings of Christ and Thomas Aquinas. Educated as a Westerner in South Africa, it was Gandhi's desire to set aside the caste system as well as his political struggles in India which led him to discover the dynamic power of non-cooperation. But, non-violence for Gandhi "was not simply a political tactic," as Merton observes: "the spirit of non-violence sprang from an inner realization of spiritual unity in himself." Gandhi's politics of spiritual integrity have influenced generations of people around the world, as well as civil rights leaders from Martin Luther King, Jr. and Steve Biko to V clav Havel and Aung San Suu Kyi. 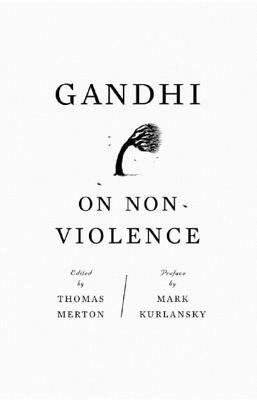 Mark Kurlansky has written an insightful preface for this edition that touches upon the history of non-violence and reflects the core of Gandhi's spiritual and ethical doctrine in the context of current global conflicts.